Nichols Canyon showed all the old battling qualities of his former stablemate Hurricane Fly to win the Ryanair Hurdle at Leopardstown. The now-retired Hurricane Fly won four of the previous five renewals of this race but for much of the home straight Nichols Canyon looked like coming off second best. Henry de Bromhead's Identity Thief proved his win in the Fighting Fifth at Newcastle was no fluke as he cruised into the lead before the final flight. 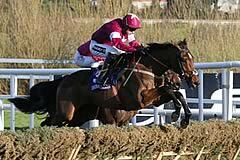 Bryan Cooper got a great leap out of Identity Thief, which appeared to seal victory, but Ruby Walsh threw the proverbial kitchen sink at Nichols Canyon. The Willie Mullins-trained 2-5 favourite began to eat into the gap and eventually got on top to win going away by two lengths. 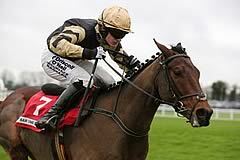 Nichols Canyon was winning a sixth Grade One from just nine starts over hurdles.